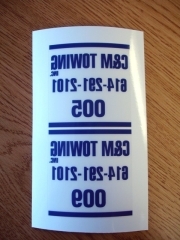 There are many uses for decals: from school booster stickers to labels for equipment identification. We can produce most any custom shape or size, spot colors or full color prints, temporary or permanent adhesives, first and second surface application. See samples below for more ideas. Next Day Sign did have a great product, process, and people! 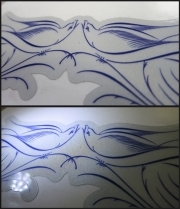 We ordered our indoor wall decal and was delivered to us in just a few days. Great job!